Cyril H. Wecht, M.D., J.D., is a forensic pathologist, attorney and medical-legal consultant. Dr. Wecht received his medical degree from the University of Pittsburgh, and his law degree from the University of Maryland. Dr. Wecht is certified by the American Board of Pathology, in anatomic, clinical, and forensic Pathology, and is also a Fellow of the College of American Pathologists and the American Society of Clinical Pathologists. Cyril H. Wecht is a Clinical Professor at the University of Pittsburgh Schools of Medicine, Dental Medicine, and Graduate School of Public Health, and holds positions as an Adjunct Professor at the Duquesne University School of Law, School of Pharmacy, and School of Health Sciences. He has served as President of the American College of Legal Medicine, the American Academy of Forensic Sciences, and served as Chairman of the Board of Trustees of the American Board of Legal Medicine and the American College of Legal Medicine Foundation. The author of more than 550 professional publications, Dr. Wecht is also an editorial board member of more than 20 national and international medical-legal and forensic scientific publications; editor of the five-volume set, Forensic Sciences (Matthew Bender); co-editor of the two and three-volume sets, Handling Soft Tissue Injury Cases and Preparing and Winning, Medical Negligence Cases (both published by Michie). Formerly the Chairman of the Department of Pathology at Saint Francis Central Hospital in Pittsburgh, Dr. Wecht is now the President of its medical staff and is actively involved as a medical-legal and forensic science consultant, author, and lecturer. Dr. Wecht has organized and conducted Postgraduate Medical-Legal Seminars in more than fifty countries throughout the world in his capacity as Director of the Pittsburgh Institute of Legal Medicine. He has performed approximately 17,000 autopsies and has supervised, reviewed or has been consulted on approximately 30,000 additional postmortem examinations. 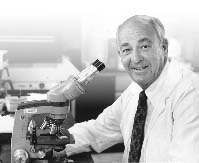 Being an expert in Forensic Medicine, Dr. Wecht has frequently appeared on several nationally syndicated programs discussing various medicolegal and forensic scientific issues, including medical malpractice, drug abuse, the assassinations of both President John F. Kennedy and Senator Robert F. Kennedy, the death of Elvis Presley, the O.J. Simpson case, and the JonBenet Ramsey cases. His expertise has also been utilized in high profile cases involving Mary Jo Kopechne, Sunny von Bulow, Jean Harris, Dr. Jeffrey McDonald, the Waco Branch Davidian fire, and Vincent Foster. A comprehensive study of these cases are discussed from the perspective of Dr. Wecht's own professional involvement in his books, Cause of Death, Grave Secrets, and Who Killed JonBenet Ramsey? (All published by Dutton/Penguin).